Washington (CNN) – Mitt Romney feels vindicated by Hillary Clinton. 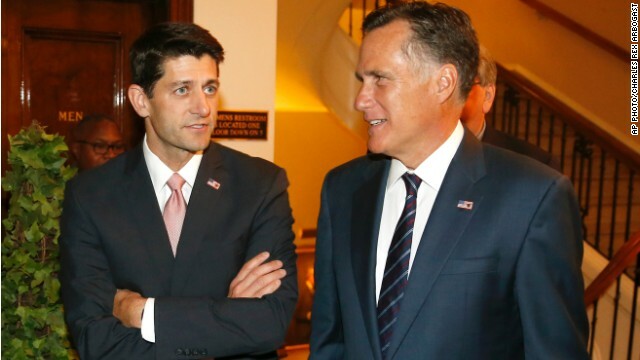 At a book event for Rep. Paul Ryan, his former running mate, Romney said that Hillary Clinton distancing herself from some of President Barack Obama's foreign policy was reminiscent of the campaign he ran against the President. Washington (CNN) - One year ago, Howard Dean, the former Democratic presidential contender and avatar of progressive sentiment, sat in a hotel lobby at the annual Netroots Nation conference in San Jose and held forth on Hillary Clinton's White House chances in 2016. Clinton "will not get a pass" in the 2016 Democratic primaries if she decides to run again, Dean said, an early warning shot from the left against the party establishment's anointed front-runner. Dean said he might make a repeat White House bid of his own, promising to agitate "other politicians" in the race on issues precious to liberals. Washington (CNN) – Hillary Clinton has been able to exist slightly above politics for the last six years. That will soon be coming to an end. Clinton, the former secretary of state and frontrunner for the Democratic presidential nomination in 2016, has committed to play a sizable role in fundraising for the party ahead of the 2014 elections, according to sources and aides for different campaign groups. Washington (CNN) – Hillary Clinton isn't running for Congress in Virginia's 10th district. 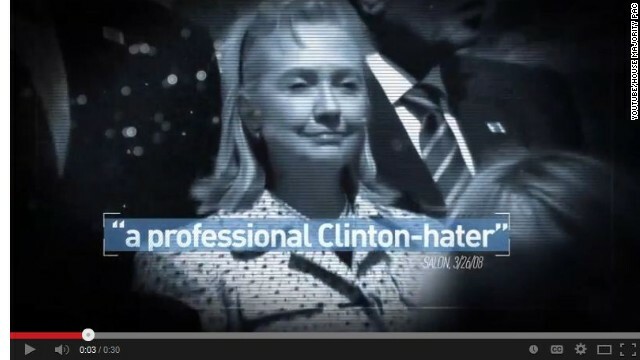 But you wouldn't know that based on a Democratic super PAC web ad targeting the race. Clinton, the former secretary of state and likely presidential contender in 2016, is featured prominently in a House Majority PAC web ad released Monday that looks to target Barbara Comstock, the Republican nominee for the northern Virginia seat. 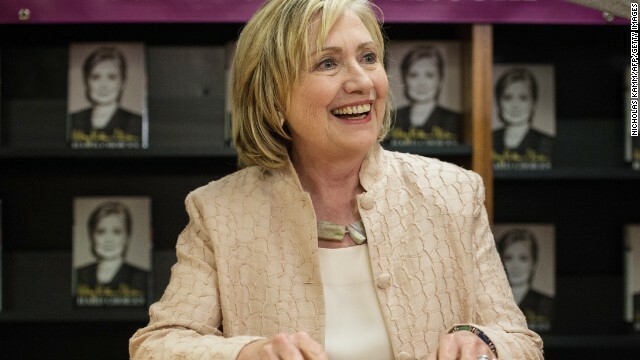 (CNN) – Hillary Clinton will headline Sen. Tom Harkin's Iowa Steak Fry next month, according to organizers, a move the steps up Clinton's political activity ahead of the 2016 presidential race. Former President Bill Clinton will also speak at the September 14 event, according to a release about the steak fry. 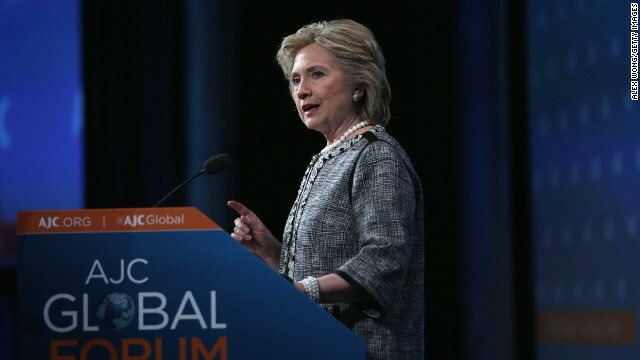 (CNN) - While Hillary Clinton still maintains an advantage over potential GOP rivals in 2016, a new poll shows that her lead is narrowing. And as her book tour has received extensive coverage, her support has dropped below 50%, according to the McClatchy-Marist poll released Thursday. Vineyard Haven, Mass. (CNN) – The foreign policy rift between Hillary Clinton and President Barack Obama that played out publicly this week was not enough to ruin the birthday party of a mutual friend. She may have sharply chastised his foreign policy this week, but all remains well between Hillary Clinton and President Barack Obama, the former secretary of state insisted, and the two were happy to spend time together, along with 150 other guests, in Martha's Vineyard Wednesday at a party thrown by longtime friend Vernon Jordan for his wife Ann. Washington (CNN) – Hillary Clinton reached out to President Barack Obama on Tuesday to tell him that headline-grabbing comments she made about his foreign policy were not meant as a political attack. The potential presidential candidate called Obama to “make sure he knows that nothing she said was an attempt to attack him, his policies, or his leadership," Nick Merrill, a spokesman for the former secretary of state, said. David Axelrod, former adviser to President Barack Obama, hit back Tuesday against Hillary Clinton's recent criticism of Obama's foreign policy. Just to clarify: "Don't do stupid stuff" means stuff like occupying Iraq in the first place, which was a tragically bad decision.